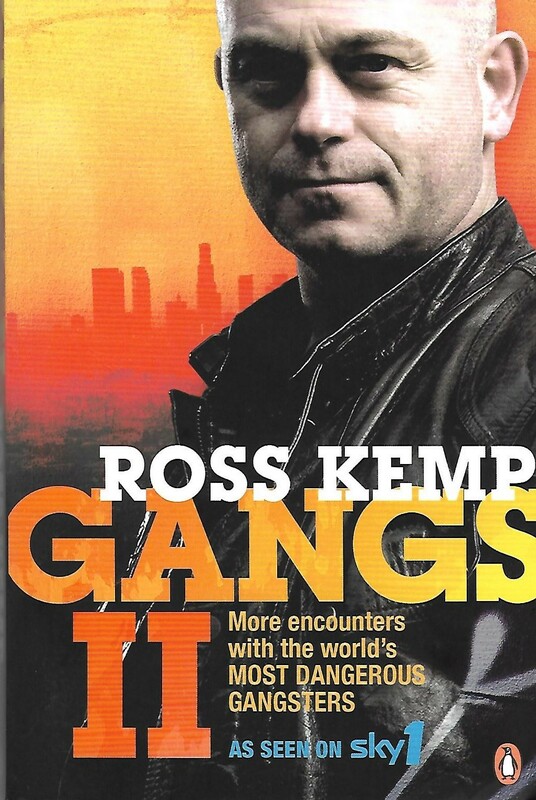 Ross Kemp: Gangs II follows parts of Season Three and Season Four of Sky One’s documentary series Ross Kemp on Gangs. Kemp, who had shot to prominence for his role as Grant Mitchell on Eastenders during the 1990s begun his career as an investigative journalist in 2004 with the filming of Gangs. The Essex born Kemp would write books about his experiences filming the documentaries and the second book delves into the episodes focusing on Colombian sicarios and paramilitaries, Polish football hooligans in Krakow and Gorzow, the animist and martial arts orientated gangs of East Timor, the Bloods and the Crips of Compton, the Aryan Brotherhood in Supermax prisons, the Mungiki and children pushed to solvent abuse in Kenya as well as the rise of gang crime in Norris Green and Croxteth in Liverpool. Kemp discussed his feelings and thoughts whilst filming for these episodes, the sorrow he feels at the futility of their efforts of a Colombian mother gunned down after trying to save her family, the pain of a Kenyan boy in Eldoret who he cannot help as he would likely be robbed and harmed, such is the plight of the children in that community. Kemp adds more to what you would have seen on screen, he compares the places he visits and makes it clear to the reader that this is “our” problem. He puts himself in some dangerous situations, needing an older gang member to protect his group after a younger one makes a gang sign in the wrong Los Angeles neighborhood, to delve deep into an issue, which so many people have an opinion on, but very few actually explore it any real detail. Ideology getting in the way of valued human judgments. Kemp shows the positives of the former gang members in Colombia having classes to get an education and change their lives around, the positivity of East Timor’s President José Ramos-Horta in his attempts to save the young fledgling nation from the gangs which called two-thirds of the former Portuguese colony’s young people members. Kemp showcases fine journalism in a book, which although short is a very powerful read. Kemp allows people to speak for themselves and talks to the many people affected by gangs in these far-flung corners of the globe. You will feel disgusted and full of sympathy in equal measure because Kemp paints a picture of reality. A reality that is as complicated as it is serious and far-reaching. The only criticism I have is the book needs to be viewed with the episodes in question as it is a little hard at points to visualise the things that are described, but for anyone with an interest in gangs or crime, it is spectacular. Kemp discusses the many causes of gang warfare. Politics and race in the case of Poland’s Stilon fighters, war in the case of the Timorese gangs, revenge in the case of those in Colombia and just the environment that the members find themselves in Liverpool, where Kemps’s constant asking why the gangs view one another as enemies and as scum is relentless but unanswered. Next book to review: The Rise and Fall of The Great Powers by Paul Kennedy.